This article is about a very talented spanish player Tommy Robredo who has a very good performance in Grand Slam tournaments and has reached to the top 10 Rankings in Me,s Singles. Here is provided the profile, career and records of this player. Tommy Robredo is a spanish Tennis Player. Born on May 1, 1982, Robredo has reached to the Top 10 Ranking in year 2006. A five time Singles Quarter-finalist in the Grand Slam Tournaments, he also has reached to the Semi-finals in doubles category for three time in US Open. Robredo started playing Tennis in Junior level and won the Junior Orange Bowl 16-Under. He turned professional in 1998. In 1999, he played his first ATP Tour level tournament - Barcelona Open, where he beats a top ranking player Marat Safin. In 2001, he reached to the fourth round of the US Open and French Open. He also reached to the Top Thirty Ranking in Men's Singles. His next notable performance came in the 2002 Rome Masters where he reach the quarterfinal stage. He also made his debut in the Davis Cup in the same year against United States. In 2003, he reached the quarterfinal stage of French Open, where he lost to Albert Costa. He won 2 ATP Tour title in 2004. 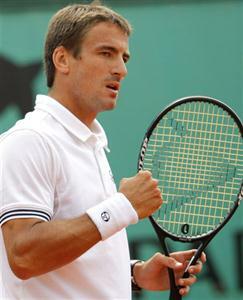 Robredo's best period came in year 2006, when he won the Hamburg Masters, and reached his highest ranking of No. 5 in Singles. In 2008, his singles form dropped a little and he played some good match in doubles. He won Monte Carlo Masters with his partner Rafael Nadal.